Each real email account has its own login ID and password. An email 'alias' is an email address that forwards all emails sent to that address to your existing REAL email account. Note: Virtual Email Accounts are unlimited to you whereas Real Email Accounts are limited according to the Hosting Plan you have purchased with Mecca. 1. 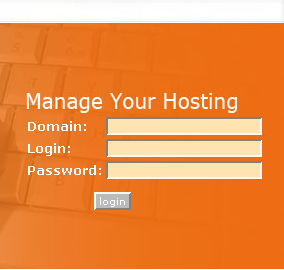 Login at the Control Panel Site. 2. Once logged in, under Communications (second row), click on Email Accounts Management. 3. To create a new real email account, under the Create a login ID box, fill in the required login information and click Add. 4. If the Login name has NOT been taken, the email account will be created automatically. But if the login name HAS BEEN taken, you will see the below screen. i. Could choose another Login name and try again until you find one that has not been taken. If it works, then you have created a new email account. Please note that if you wish to change the password for that email account, simply select Change under Change Password. ii. Create a VIRTUAL EMAIL. In order to create a Virtual Email Account, you must first create a Real Email Account. So follow Step 3 to create a valid Login ID and then scroll down until you find the Add an email account box. a. Under email address, type in your desired email address prefix, (in this case, info). b. Under Login account, choose which account you want to check the emails in. By choosing the Login account, you could check the emails sent to both info@hostforgood.com and infoforjohn@hostforgood.com in the same account. Click Add and you're done! With Virtual Emails, you could have as many email aliases tied to one account. Therefore you could create sales@hostforgood.com, support@hostforgood.com, etc. all under the loginID: infoforjohn.